Caption - 'Kitty' was the oldest working steam loco in South Africa when photographed on 4th April 1980 at the ESCOM Central Workshops in Johannesburg. 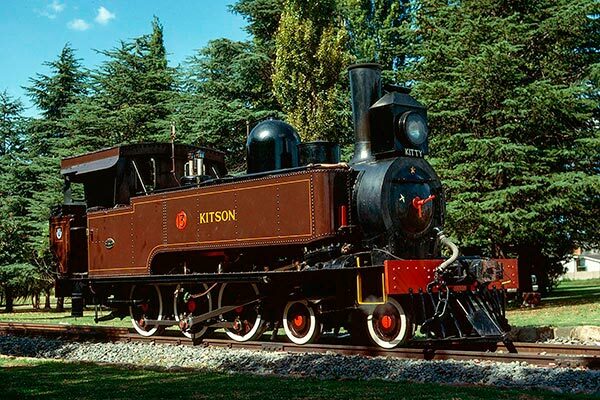 No.13 was Kitson 2269 of 1879 and immaculately maintained. Delivered to the Natal Government Railway it became South African Railways class G #62 before being sold to ESCOM.